Latvian heavy folk ensemble Symbolic, though playing and performing for more than a decade, only released their first album Mūžam saule debesīs at the end of 2017. The band is made up of guitarists Jānis Rage-Raģis and Lauris Aišpurs, vocalist Uldis Kākulis, bassist Ģirts Blūms, and drummer Ēriks Lizbovskis. Symbolic’s brand of heavy rock might remind listeners more of 1970s era hard rock bands, with perhaps some influence from bands like Black Sabbath and Deep Purple. Folklorist Dina Liepa supplements the group’s sound with traditional instruments, such as the kokle in the introduction to the song ‘Pērkons, saule’, which also serves to establish the powerful vocals of Kākulis. The traditional instruments add an additional layer to the heavy guitars, making for an intriguing blend of traditional and modern sounds and performances. As befits the music style, many of the songs have themes of war and battle. The song ‘Mēnestiņš, karavīris’ compares the moon to a soldier who is always moving, while the mournful ‘Es, karā aiziedams’ is about a young man preparing to leave for war. The rousing ‘Jodam galvu’ is about creating a sword made of sparks to cut off a devil’s head so that the goddess Laima can freely enter a home, with a climactic squealing guitar and vocal interplay providing the imagery of the battle with the devil. Liepa’s deft kokle playing, meant to give the appearance of a glittering sun, provides the introduction for the anthemic ode to the sun, ‘Spīguļo saulīte’. The song is full of evocative imagery and colors, such as the sun throwing the black into the sea and keeping the white for herself, as well as the daughters of the sea beating the wash with silver bats, and is given a thundering foundation by drummer Lizbovskis. The expansive ‘Māsiņa’, a song of engagement and wedding, presents in musical form a pre-wedding ritual, where brothers must saddle their horses and chase after their sister who has gone to be married. The song builds to a galloping crescendo, then concludes on a softer, more melodic note as the ritual dance begins. Though most of the songs are energetic and active, there are still some mellower moments to balance out the record. 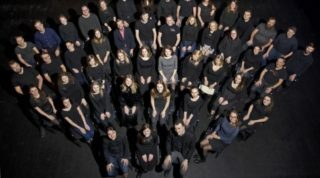 The winter solstice song ‘Ziemassvētku dziesma’, featuring vocals by the late Niks Matvejevs, is one of the group’s earliest songs (recorded in the early 2000s), and it brings the album to a somber close. However, the full-throated vocals seem a bit much for this calmer song, as they do not quite match the tone of the lyrics and music. Of course, the comparisons with perhaps the best know Latvian folk metal ensemble – Skyforger – are inevitable. However, Symbolic do distinguish themselves, as they are perhaps not as aggressive as Skyforger, and Uldis Kākulis’ deep, occasionally even bellowing, vocals allow for a bit more melodic interpretation and flexibility than Skyforger’s slightly harsher vocal stylings. Still, Skyforger fans should still find much to enjoy on Mūžam saule debesīs. As the band say on their website, “Symbolic wants to reach people who feel that their roots, their land and ancestors and history is really important and all others who are interested in Latvian culture and tradition.” Via their heavy guitars and energetic performances, Mūžam saule debesīs reveals new interpretations of ancient Latvian texts and folklore. 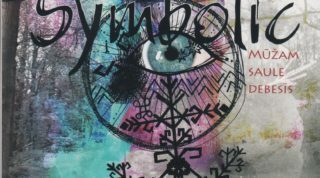 Though one might not think that ancient folk songs would work with distorted, heavy guitars and driving drums, Symbolic’s songs show that these elements fit together quite naturally, as well as how the ancient can still be quite modern. For further information, please visit the Symbolic website.